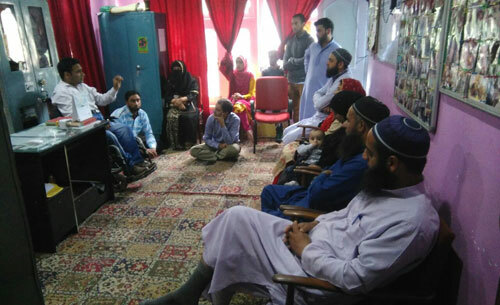 Today on 12th May 2018, a group of Government Teachers from District Pulwama visited Zaiba Aapa Institute of Inclusive Education to seek guidance and training on how to deal and impart education among children with disabilities in government schools. The teachers were given orientation regarding education of children with visual and hearing disabilities by the Special Educators of Zaiba Aapa Institute. They visited class rooms and observed how children with various kinds of disabilities learn with the help of Special Educators and General Line Teachers. 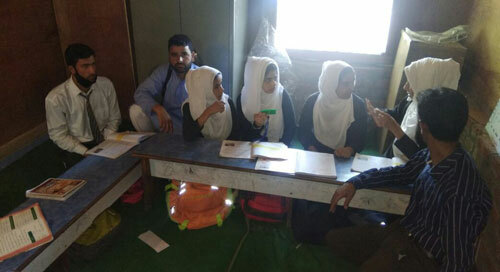 The teachers interacted with the students of the institute and were convinced that education of children with disabilities is possible with humble efforts and techniques of special education. 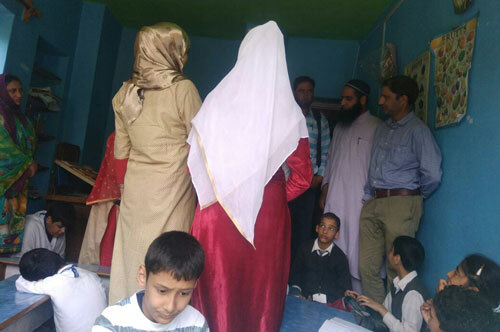 The teachers showed their interest to visit again and replicate the same process in government schools of district Pulwama the same way in which Zaiba Aapa Institute is ensuring in district Anantnag. Copyright © 2019, Humanity Welfare Organization Helpline. All Rights Reserved.